This piece was published by Al Fanar on March 12, 2014. Qatar has invested heavily in social science in recent years, trying to build a base of local researchers and drawing foreign academics eager to pursue well-funded research in the Gulf emirate. But Western researchers have learned that successfully conducting research in Qatar means navigating Qatari cultural norms, a challenge that’s forced many to re-think practices they might have taken for granted. Take public-opinion surveys. In Qatar, it’s illegal to publicly criticize the emir, Sheikh Tamim bin Hamad Al Thani. So citizens and foreign residents are reluctant to voice their opinions about government. As a result, Mitchell needed to rework some questions for a 2013 public opinion survey investigating Qataris’ attitudes about economic, cultural, and political issues and funded by the Qatar National Research Fund. Although she and her colleagues were disappointed about not being able to ask about some important topics directly, they realized that the alternative was probably getting back no responses at all. “Sometimes we have to give a little to get a lot,” she said. 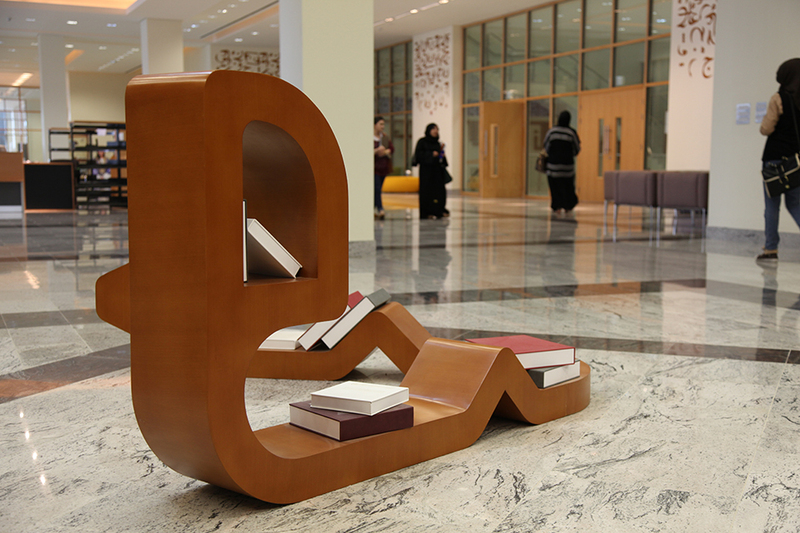 To cultivate a knowledge-based economy, Qatar has invested heavily in social-science research, such as through the Qatar National Research Fund and the Social and Economic Survey Research Institute at Qatar University. The two institutions are also trying to build a research culture. The research fund encourages projects that reflect Qatar’s national goals, such economic development, women’s empowerment, health and environmental sustainability. For these projects to succeed, Al-Taie said researchers must be culturally aware when designing surveys. Otherwise, residents and citizens won’t answer the questions and the surveys won’t produce meaningful results. Foreign-based researchers need to fulfill three criteria to apply for the organization’s flagship grant, the National Priorities Research Program, which awards up to $900,000 for a three-year project. They need a Qatari partner institution, at least 65 percent of the project’s annual budget must be spent inside Qatar and a minimum of 50 percent of the research effort should occur in the country. Nearly 400 institutions from 49 countries have participated in projects through the Fund, said Al-Taie. The government’s drive to improve academic research has yielded results. The partnership between Qatar University and the University of Michigan, the Social and Economic Survey Research Institute, for instance, has produced important metrics on Qatar society. The Institute’s 2012 Omnibus Survey about life in Qatar found that more Qatari women than men were studying at local universities but that women comprised only 36 percent of the workforce, raising numerous questions about the gender roles in the economy in the future. The survey also discovered that women played a large role in household decision-making and that a majority of Qataris believed women should be afforded equal social status. Foreign social scientists conducting research in Qatar might at first balk at some of the cultural sensitivities and limitations they encounter on the ground, but they ultimately benefit from them because they avoid the pitfalls of conducting research that’s ignorant of context, said Susan Dun, a senior lecturer in communication at Northwestern University in Qatar. At home, researchers wouldn’t think twice about those pitfalls because they’re operating in their own culture, she added. In 2012 Dun was awarded a National Research Fund grant to study women and girls’ physical activity and sports participation in Qatar. Dun said she worked carefully with student researchers to make sure none of her survey questions were rude or insulting. She wanted to ask women which parent encouraged them to exercise more. But her students said that question might make respondents feel as if they were criticizing their mother or father—a major infraction in Qatari culture. Worried that she wouldn’t get accurate data, Dun re-worded the question to ask respondents whether their families in general supported their exercise goals. Both Dun and Mitchell said they did not feel as if the Qatari government was censoring their work. Mitchell said the Social and Economic Survey Research Institute suggested she change some questions for her public-opinion survey so she would get adequate responses. She viewed the Institute as a research partner, not a censor. “I think the Social and Economic Survey Research Institute should be seen as an informed local player that is trying to get as much social science ‘truth’ as possible within the cultural and political boundaries of Qatari society,” she said. Dun, who recently applied for another Fund grant to expand on her work on women and exercise, said she wouldn’t hesitate to collaborate with researchers at the Institute. Some hurdles don’t involve the Fund, Institute or other government bodies. Western researchers need to be mindful of methodological challenges when conducting surveys in Qatar, researchers said. Polling firms must use both male and female questioners because Qatari women often won’t speak with unfamiliar men. Qatari respondents may not be willing to share their opinions with non-Qatari pollsters, too. Even when care is taken, researchers can still find it difficult to get locals to open up. The mere act of conducting a poll is novel for many in Qatar.